Meet the Only U.S. 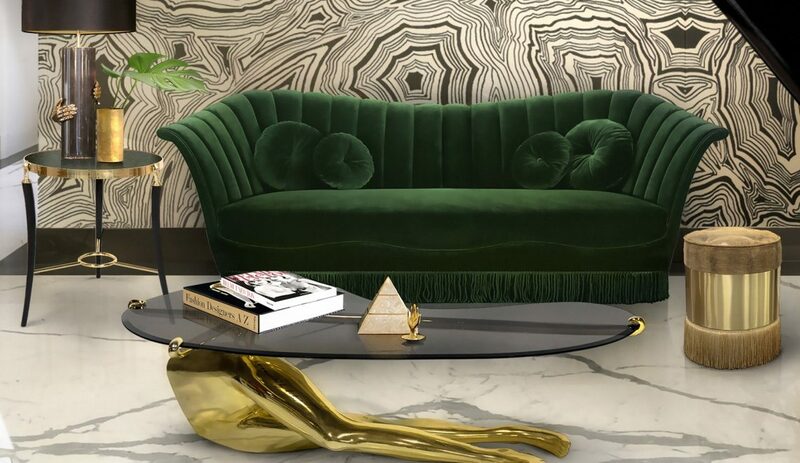 Luxury Home Decor Brand at Maison et Objet 2019! 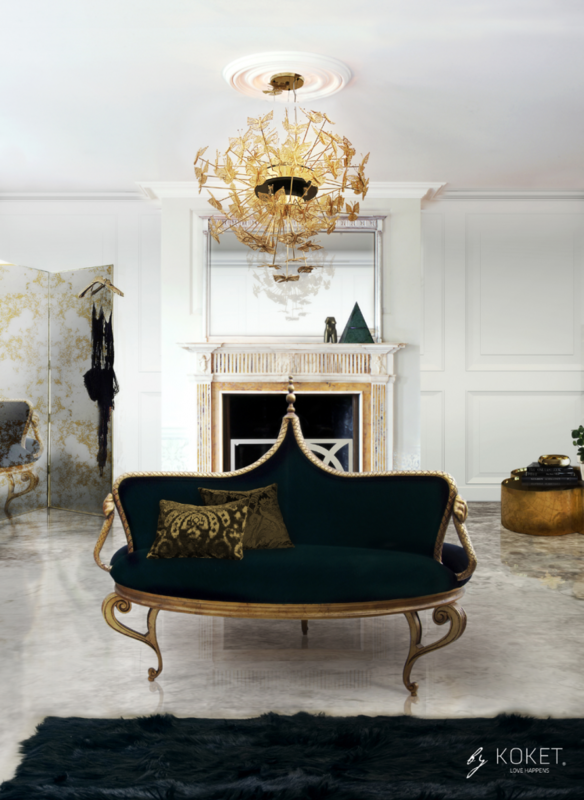 Meet the Only U.S.-Based Luxury Home Decor Brand Exhibiting at Maison et Objet 2019! KOKET is so honored to be the only U.S. luxury home decor brand exhibiting at Maison et Objet 2019, the world’s most prestigious design show! After 10 years of captivating customers with their original and daring designs, KOKET has quickly become a darling of the design industry. 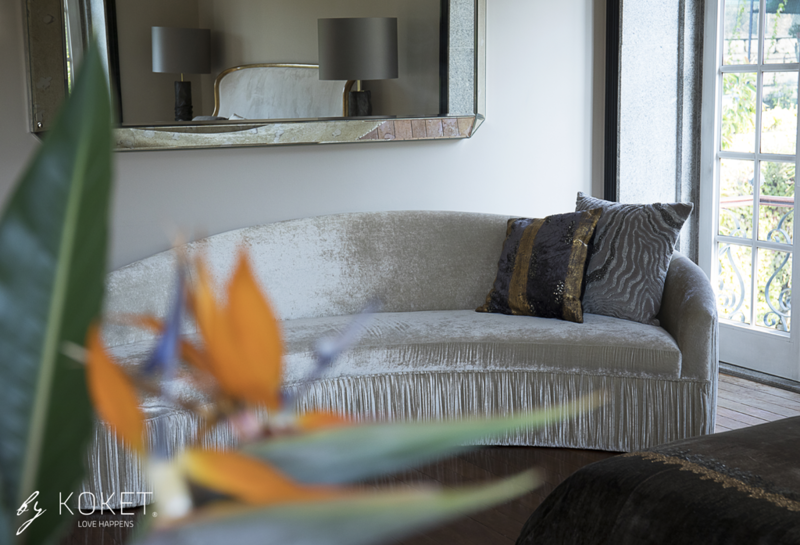 And an adored go-to source for those looking to create unique spaces which exude sensuality and style. Love Happens is so excited to join KOKET in Paris at Maison et Objet 2019 from January 18 – 22! Together we will celebrate two of our most beloved passions to kick off the year—haute craftsmanship and women! KOKET’s bold artisanal creations and Volume 3 of Love Happens will be on display in Hall 8, Stand C48. 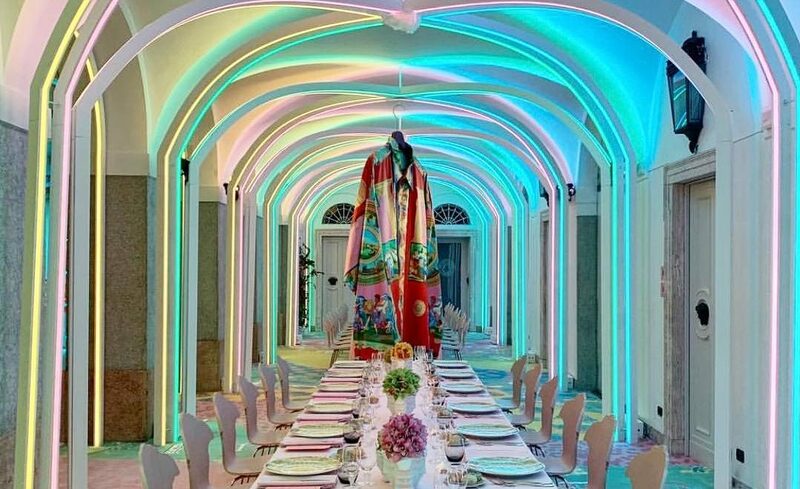 The brand will also continue its mission to empower as they bring women in the design community together at their ‘Women’s Luxury Guild Brunch in Paris’ event! Notorious for stealing hearts around the globe with their empowering statement designs. Their mature whimsy, magnetic allure, and unique design-driven experiences and content. Maison & Objet visitors will not want to miss KOKET! A love for haute craftsmanship and the finest materials is at the heart of KOKET. Each object of desire is handcrafted by master artisans in Portugal who take great pride in their crafts. These artisanal touches add an essential element of individuality to each of KOKET’s empowering statement designs. And it is this beauty of high-level craftsmanship and its cherished heritage which KOKET is honoring this January. 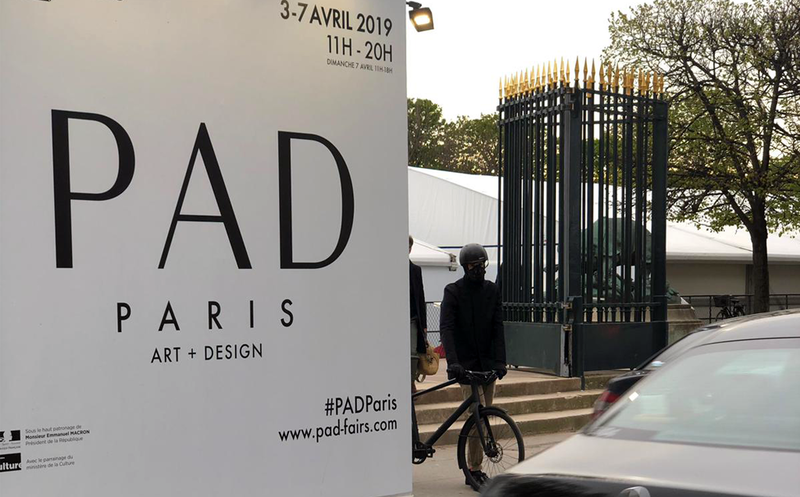 Both in their stand at Maison et Objet 2019 and with the debut of the 3rd volume of Love Happens. Exquisite new designs await! 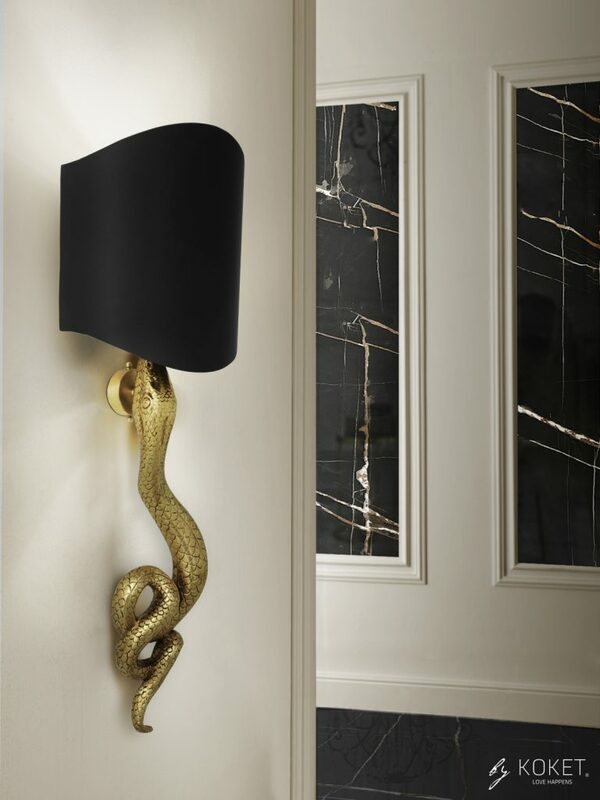 A new edition to the exotic hand-carved sculptural snakes of the Serpentine collection—a wild and glamorous chandelier, and a luscious pillow pouf fit for the most decadent lounging. 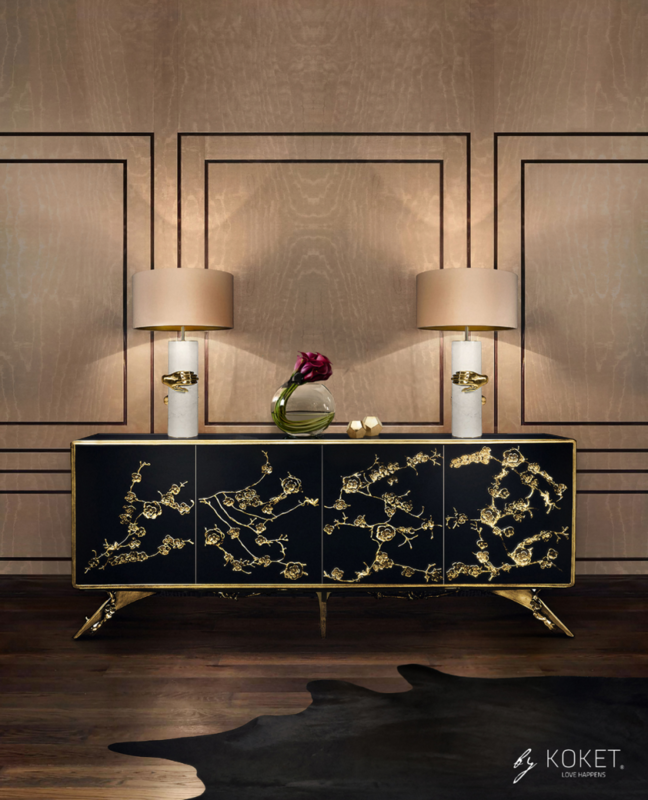 In addition to these new creations, KOKET’s stand will showcase an ever-alluring selection of statement designs. From glittering metallics and lush textiles to abstract silhouettes, intriguing finishes, and opulent embellishments, KOKET’s stand will be an absolute must see. 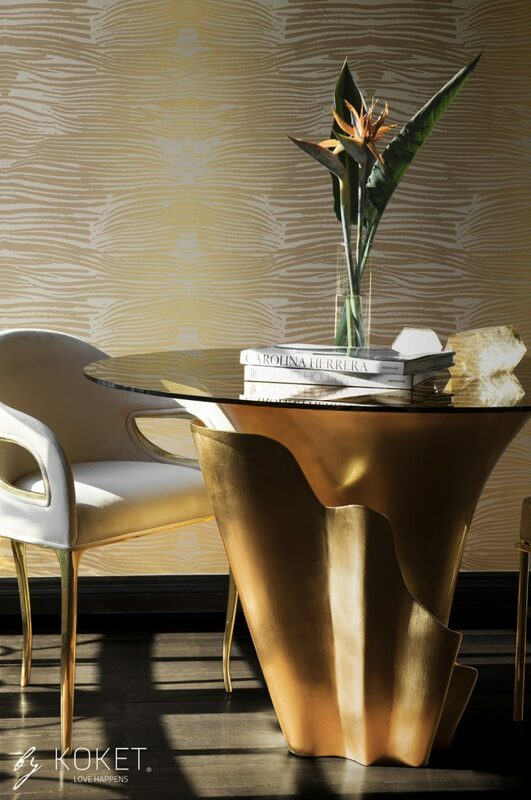 Unafraid of taking risks and constantly pushing the boundaries of design, KOKET has never adhered to the status quo. Their original and captivating interior decor creations are sure to mesmerize design lovers around the world! KOKET has a magical way of engaging its customers so they feel like members of an exclusive community. If you have ever visited the brand at a trade show you are sure to have felt the warmth, energy, and passion that is KOKET! So, celebrate the art of craftsmanship with KOKET this winter in Hall 8, Stand C48 at Maison et Objet 2019. 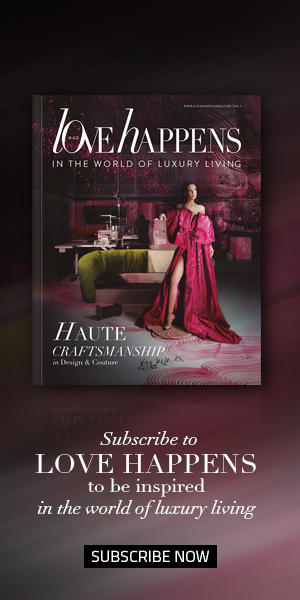 And be sure to pick up the new copy of Love Happens—a heartfelt tribute to haute craftsmanship in design and couture.